This week, through wikipedia fact-finding and other ways, I have found out two things. Firstly, the modern British movement of Drudism as a religious form of practice, is an anachronism of poor historical merit. What it communicates more is some cultic form of sentimentality with an ancient Britain, than a commitment to an historic British set of rites. It is as far detached from historicity as Greco-Roman wrestling is to the Grecians and the Romans (my second thing). I found out that Greco-Roman wrestling is a late 19thC invention with rules which alluded to the ancient practice of wrestling, but its codification is hardly Grecian or Roman, but more Napoleonic. What does this tell us? I think it tells us that a sense of commitment can be more important than an actual commitment to historicity; a symbolic adequation with an ideal means more than its actual adequation with the object, as Aristotle conceptualised knowledge to be. We do not ‘know’ that Greco-Roman wrestling is actually in fact, Hellenic/Roman, nor do we know that Druidic rites and practices are actually from an era of English prehistory. But it doesn’t matter, a mythology is created all the same. Lately I’ve been reading Jung’s ‘Man and his Symbols’, which I understand is only actually partially written by him, and ‘approved’ sections are written by his disciples. Jung walks through what we might call the fundamental irrationality or non-rationality of the human condition. The symbolic nature of dreams, the role of archetypes and embodied psyches within our mind. For the past few years, I’ve kept a private log of experiences, memories and other things. One of the things I try to do is write my dreams down as soon as I wake up. I realise the importance of writing dreams immediately, as after a while the memory of them soon fades, also it makes less sense, not to say dreams make any kind of sense in the first place. Jung points out that at wake, our recollection of dreams are already a form of interpretation. I often find that I have to put some chronological narrative to make my dreams explainable, and sometimes I have to impose more details than I remember just to give a sense of license and comprehension about a dream. This is hermeneutics already in process. I find Jung’s approach to the mind interesting because of the deeply internal and subjective nature of dreams, archetypes and psyches. Jung points out a different view to Freud, the latter of which was keen to impose his own interpretations on Jung’s dream analysis sessions, but Jung admits that in his own analysis sessions with patients, he allows them to find a form of interpretation of dreams. Often one aspect about the dream state is that symbols, items and people have a meaning that is only accessible to the agent. There are things so personal to you that have meanings, even if the meaning is not apparent it is only up to the agent who has the conceptual vocabulary and the resource of her own memories to make sense of them. In this way dreams seem like a private language, which, if I understood my Wittgenstein in any way (and I don’t), the presence of such conceptual terms that cannot be shared is impossible at worst, or meaningless at best. Are dreams an example of a vocabulary that is so personal only the agent can understand it? The presence of an unconscious is a puzzle for any given person, but the analysts would presumably think it is in principle comprehensible. There were two other aspects that came to mind when I was reading Jung. One is the misunderstanding in his view of what people understood to be the archetypes. Jung does not want to say that there are universal structures and symbols in the mind that are present in all agents, as a metaphysical thesis. However if certain symbols are powerful enough to find presence in many minds (such as religious notions or personalities). What Jung took to be the archetype is the faculty that people have of approaching universal ideals in their own mind. This is the kind of difference that is present in Kant’s thesis of systematicity (or the constitutive a priori). To use Kantian terminology, the Jungian archetype is not constitutive of archetypes and the specific content of them, but is the regulative ideal, the principle of discrimination wherein specific archetypes lay. The presence of the same archetypes in people may be explained through another means than saying that the archetypes of something are a universal construct. And finally, perhaps the most odd thing I thought was interesting was when Jung talks of an unconscious personality in men, of a feminine aspect. There seems to be some kind of revelation with unconscious psyches that are revealed in dreams or other ways. Personalities which have a presence in one’s mind, maybe as a replication of somebody else, or reflecting some significance to the agent. 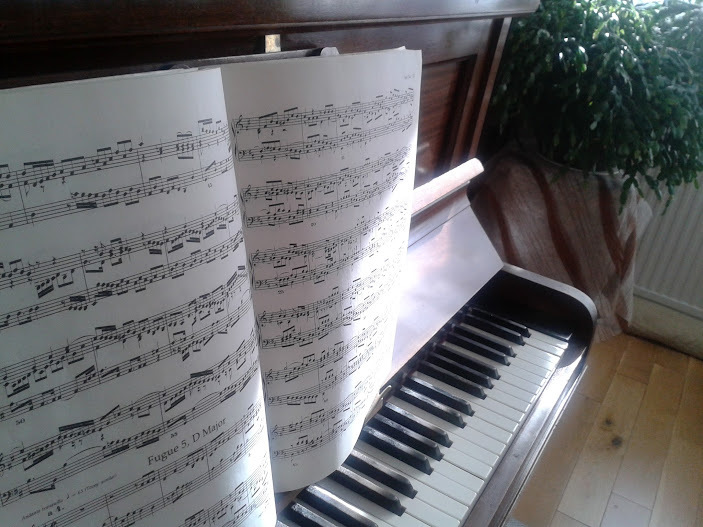 The unconscious personalities seemed an interesting notion to me, as when I practice piano I think of my old piano teacher still giving me instructions (and me ignoring them). Despite all the disagreements we had, I have internalised his teacher personality in my mind when I play. I suppose the same goes for the friend of mine who coaches me at Badminton: I’m always trying to think of the best shot and the best technique, thinking of drills and what I need to improve on. Maybe its patronising to think of an unconscious female psyche imbued in my male mindset. Or maybe acknowledging it is some sense of agendered completeness. In the same way as I imagine my piano teacher’s advice and ignore it when I practice, the unconscious presence of gendered psyches may provide a source of gendered sympathy. To be honest I’m not really sure what to make of Jung. Due to the overwhelming nature of his subjective conceptions it seems hard to me that the material presented in Man and his Symbols be taken as serious psychology, however, as a form of understanding one’s own thoughts and the confabulations we make up in our everyday thinking, maybe it’s an interesting toolbox. This week I saw two pieces of comedy on the tv. A new BBC comedic sitcom set in the Birmingham area about a British Pakistani family and their comedic foibles, the show was called Citizen Khan. I also this week have been reading a couple of comedy books, in particular one named ‘Work, Consume, Die’ by Frankie Boyle, I also got to see something on Channel 4 called ‘The Boyle Variety Performance’, which served as a vehicle for the comedian after a relative absence from television following his 2010 series ‘Tramadol Nights’. I was writing this post and then I got informed by Michael that there have been two stories of complaints about the comedian Boyle and the BBC sitcom on the basis of being offensive. To some extent I’m never surprised that Frankie Boyle has offended someone. In the TV exploit he made, there were a few jokes that I thought cut deep for me. I’m not going to comment on the specific complaints. Partly because I didn’t think they were very good jokes. But I will talk about a couple of jokes that I thought were both amusing and communicated something important. Please note that this post was originally written without knowledge of the complaints, which in a sense merits its own attention, which I’m not going to do here. In Citizen Khan, there were a lot of little gags that rang true about British Asian families that was a bit wince-worthy for someone like me, even if I’m not British Pakistani. The couch covered in plastic; the patriarch of the family buying too many rolls of toilet paper because they were cheap, and the child in the family who is the most mischievious but their parents think they are the worst behaved in public, are things which come to mind as true stereotypes. That said, I’m speaking only anecdotally and hardly using random sampling. What I really loved about the show was the non-white protagonists and how the show gave a window into the kind of Britain we have today. Namely, a diverse one. There are lots of communities and some are more visible and in terms of comedy, ridiculed more. I certainly think that British Asians could do with more representation in the media and wider society, like say, Premier League Football or the arts, and not within a niche audience either, as if they are exotified and the one thing that typifies them is their cultural and ethnic identity. The presence of the Mosque manager played by Kris Marshall was quite an interesting inclusion for me. I would think that multiculturalism would be about a migrant community over generations integrating into wider society, but also wider society integrates into that community as well. Michael told me for instance about a wedding he was recently attending where it largely included people from his ethnic Goan community, but he had a conversation with a British Cypriot man who seemed to know more Konkani and more about Goan culture than he did. The protagonist Mr. Khan character gives the new manager a hard time because he is caucasian. Marshall’s character states that this is racist and Khan defends himself by saying a combination of ‘I can’t be racist, I’m brown’, and ridiculing the manager’s ginger beard. I thought there were two salient insights to be had here. Firstly, ginger discrimination. It has been well commented that those with naturally ginger hair are treated almost as if they were a cultural grouping or a pseudoscientific racial category. Ginger jokes parallel racism, see for example the internet meme ‘Gingers have no soul’. Because these kinds of digs are not sexist or like racism aganist non-white people it is seen in some way as a ‘free pass’ at ridiculing someone. Similar examples of this kind of free pass include jokes about the Welsh (contrast to say, jokes about Scottish or Irish which can have a distinct historical and political ramification to them). There seems to be a certain kind of inconsistency about offensive humour reflected here. When Khan’s character states that he is immune to racist accusations because of his minority status reminds me of the fairly complicated social discourse of priviledge. The white mosque manager represents a minority in the Islamic community, although white muslims are increasingly visible these days in the Islamic diaspora. There’s a certain kind of role reversal which is interesting in that Khan shows a bigotry that he would not portray in regular civil society that he would within the confines of his localised Pakistani/Mosque centred community. This gives a picture of multicultural Britain as a bubble with lots of other little bubbles inside, where there are little worlds separate from each other that rarely meet other communities. Is this a celebration of diversity or segregation? All of this provoked me from seeing a crass joke about ginger people. It was a joke that made a point about modern Britain. Boyle goes on to address how the dire prospects of many people today, as well as the rampant capitalism and dull media represent a generation of malaise. Boyle’s comedic monologue is making a point about the status quo, about the failure of cultivating aspiration when there are no prospects, and where consumerism is a spiritual gin. I think its hard to defend everything any given comedian says, but these aforementioned examples are stellar candidates of how comedy can be biting and socially relevant.